We all know what it’s like to talk shop for hours, and I’m sure we can all agree that those hours are far better when paired with a cocktail (or two) and some gourmet food. 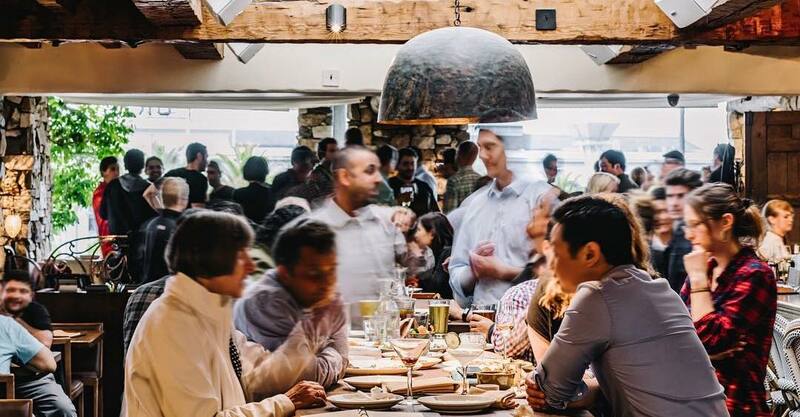 Whether you are a local or just visiting San Francisco for work, we’ve curated a list of the top lunch spots in the city to host a business meeting. Where: Located on the border of Embarcadero Center and Financial District. Ambiance: Sens Restaurant offers a casual, but classy dining style. With a beautiful view, you can come dressed for a power lunch or arrive comfortable in a post-round-of-golf attire. What to order: Sens is one of San Francisco’s best known Mediterranean Restaurants. Our go-to starters include the Mediterranean Spreads, Crispy Fried Olives, and the Grilled Spanish Octopus served with white beans, piquillo, arugula, and grilled lemon. From crispy to creamy, this restaurant holds true to its name “Sens” which means “Sense” en francais . For a great lunch dish, we recommend the Lamb Burger or Paella. What to drink: Enjoy a good bourbon neat? Try the House-Spiced Bourbon made with Straight Bourbon, Vanilla, Cinnamon, Orange Peel, and honey. More of a mixed cocktail guy or gal? Order yourself the Oaxacan Winter made with Vida Mezcal, house-made cranberry reduction, ginger, and pressed lemon. Furthermore: If your business lunch turns into a happy hour, Sens offers a delicious cocktails and bites Happy Hour menu. Where: Located in Presidio Heights. Ambiance: This restaurant is one of those casual yet elegant dining styles paired with a warm and inviting atmosphere. What to order: Make sure to save room for the warm beignets. Dive into the Charcuterie selection, or Osetra Caviar as an appetizer. 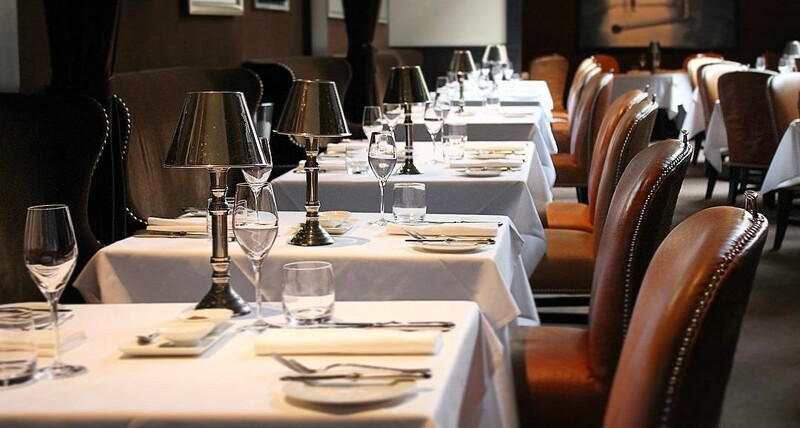 For the main course, revel in the 38 North Duck Leg Confit or 14 Day Aged Flannery New York. This is a great restaurant recommendation for a business lunch, but also an impeccable dinner choice. What to drink: If you know your business lunch is going to include drinks, this is the place to pick. 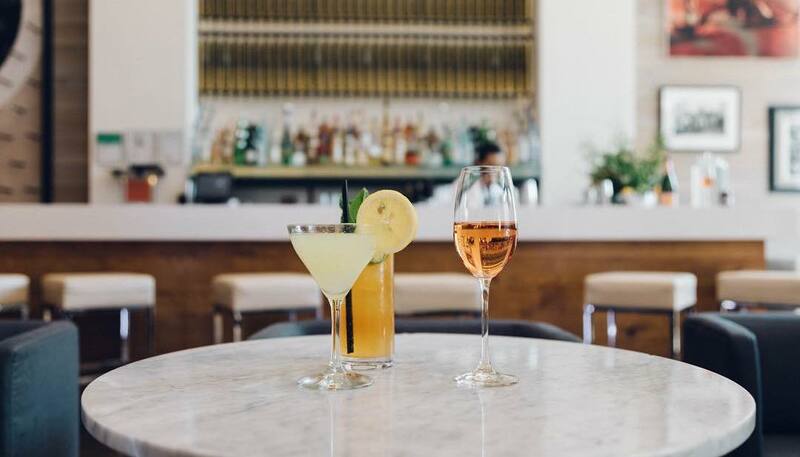 It’s wine and spirits program is one of the most progressive in America including creating custom wines and spirits on the property, and offering a wine list of over 2500 options. Furthermore: Chef Sullivan has created a beautiful cuisine focusing on using only the freshest ingredients. He works with a private farm that grows special selections of organic, ethically-grown, hyper-seasonal vegetables, and fruits and herbs especially focused for Spruce. Where: Located in Potrero Flats. Ambiance: Founder Paul Einbund wanted to create a restaurant that exudes the modest personas of the neighborhood while offering a world-class level of food and drinks. What to eat: The Morris is one of the restaurants on this list that caters to vegetarian-friendly palettes more than the others. Charred broccolis, The Farmer’s lunch, and Veggie bowl are all delicious options. For the meat lovers of the table, enjoy The Morris Burger, Smoked Duck and Root Vegetables, or Fish n Chips made with Black Cod. What to drink: For cocktails, have a go at the Blood & Arena, Gold Rush, or the Improved Whisky Cocktail. 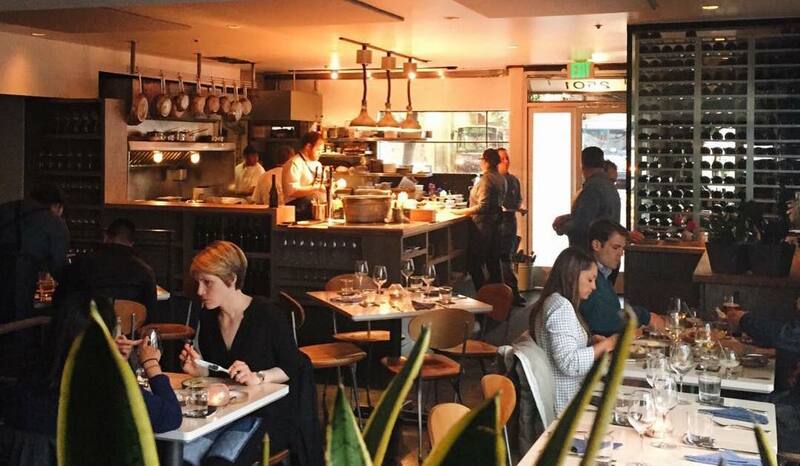 Furthermore: The Morris is one of San Francisco’s must-try restaurants. This food destination has been the talk of the town between the SF Chronicle, Eater SF, Food and Wine Magazine, Forbes, and many more. This is not a venue that you can just pop in to, so if you know in advance you are going to be having a business meeting, make a reservation. Where: Located in Soma at 83 Minna Street. Ambiance: Housed within four brick walls, this open spaced restaurant packed with fish lovers, holds a feeling of warmth and comfort. It is a great venue for upscale casual, yet comfortable enough to chat up a conversation with the table next to you about the Sea Urchin dish that just happened to make it’s way onto your table. 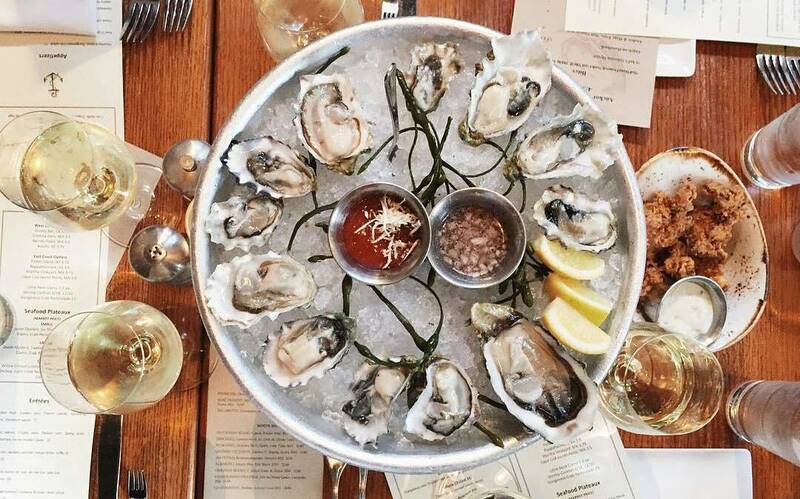 What to eat: Enjoy rounds of oysters, clams, crab, and shrimp from the Raw Bar before diving into one of the many varieties of seafood dishes. Whether looking for something light or heavy, there is a broad spectrum available for you. If you’re craving a top-notch Seafood Sandwich, serve yourself up the Anchor & Hope Signature Lobster Roll. 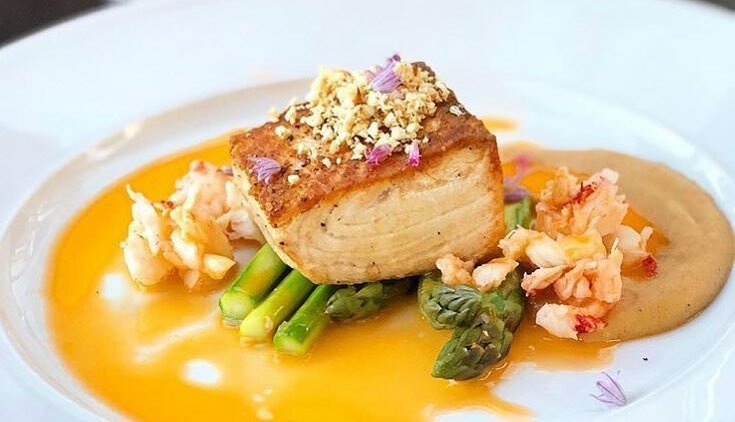 If you’re looking to have more of a healthier and lighter lunch, order the Skuna Bay Salmon paired with asparagus, Himeji mushrooms, spring garlic, lemon, and mushroom dashi. What to drink: Anchor & Hope is well known for having a long list of wines. Indulge in a bottle for the table, and enjoy the delicatessens of east coast meets the west coast. Furthermore: If you are looking for a great happy hour spot, they offer $1 oysters. Where: Located adjacent to Hotel Zetta. Ambiance: If you are looking to escape SF and travel to Europe, this is your London escape. San Francisco designer, Ken Fulk, revamped the interior to enhance the brasserie with leather banquettes and zinc and white marble to emphasize the posh feels. What to eat: If you are one to enjoy family style meals, we suggest ordering a number of the appetizers to share for your business lunch. Some of the best sellers include Crispy Brussels Sprout chips, Tartare of Angus Ribeye, Lamb Scrumpets, and San Daniele Prosciutto. What to drink: Being well known for their handcrafted cocktails, the must-try selections are Whiz Bang, The Lexington, and Pimm’s Cup. If lunchtime for you means healthy cold pressed juices, order the Blackcurrant, Ginger, and Lime Refresher paired with The Cavalier Salad. Furthermore: This London inspired restaurant was created by Restaurateurs Anna Weinberg, James Nicholas, and Chef Jennifer Puccio. Where: On the waterfront of San Francisco’s Embarcadero court with views of the bay and city skyline. Ambiance: This lunch spot is perfect for any San Francisco Visitor who enjoys a laid-back environment. This is definitely a venue to spend hours enjoying your meal and waiting for the golden hour sunset view. What to eat: The menu changes based on seasonal items, but you can’t go wrong with the Sesame Fried Oysters beach grown off of Vancouver Island, the Grilled Yellowtail Jack made with summer melon, almond milk, prosciutto, and pea tendrils, or the Buttermilk Fried Quail with cornbread, honey butter, and smoked paprika coleslaw. If you are a guest who likes to side with Chef recommendations, there is a Daily Prix Fixe Menu. What to drink: Waterbar is proud of their domestic collection of wine and spirits. Ask their Beverage Director Francisco Bazo to pair your dish with one of their fresh cocktail and you won’t regret it. Furthermore: Waterbar isn’t only known for its beautiful panoramic views, it is also known for its mastery of sustainability and sourcing. Where: Located across from Pier 33. Ambiance: Hillstone features a large outdoor patio and island bar to enjoy meals prepared from scratch, sip on a cocktail, and look out at the Bay views. This restaurant prides itself on being a true American sophisticated dining establishment. 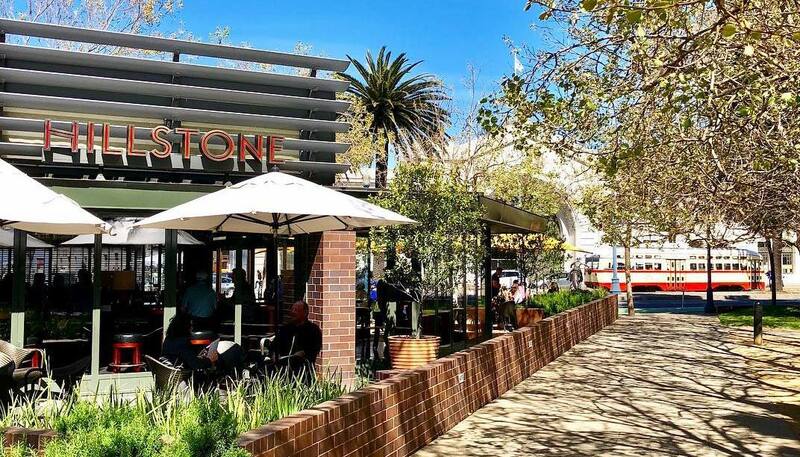 If you are looking for fine dining of a high caliber, Hillstone is the lunch place for you. What to eat: For the person with a healthier palette, try the Pan-Seared Ahi Tuna Salad or Thai Steak & Noodle Salad. For the guest who is looking for a heartier lunch craving, we vote for Ding’s Crispy Chicken Sandwich. What to drink: Hillstone has an extensive wine list especially focused on Cabernets, but if your heart desires more of a craft cocktail, order the Bee’s Knees crafted with Distillery No. 209 Gin, freshly squeezed lemon juice and honey syrup. Furthermore: Hillstone is one of the more upscale restaurants out of this list. There is a dress code to abide by, so make sure to come dressed appropriately before attending lunch.